Giant’s ToughRoad GX E+ conquers loose rock and paved roads with impressive grace and speed. The idea of throwing an electric motor on a bicycle may seem a little counter-intuitive — especially on one built for someone to break a sweat. Wouldn’t making exercise easier just defeat the purpose? To bike manufacturer Giant, the answer is a resounding no. That’s why the brand developed the ToughRoad GX E+, a new ebike designed to elevate the world of bicycling beyond its current mindset. Giant, one of the largest bike manufacturers in the world, has been a mainstay in the industry for years — but can its foray into the e side of the cycling business prove successful? To answer this and get a true sense of its capability, we decided to hop on the ToughRoad GX E+ for a month to put it through its paces. We walked away as impressed as we’ve been with any ebike thus far. Giant’s ToughRoad GX E+ is a gravel bike which, similar to road bikes, features a rigid frame and forks with drop-down handlebars. However, these types of bikes differ from their roadie brethren by sporting a slightly more upright frame and wider treaded tires. These changes make the ToughRoad GX E+ capable on trails and gravel roads, while still allowing it to ride smoothly on anything paved. At $3,600, it certainly isn’t the cheapest ebike we’ve reviewed but it does fall somewhere in the middle of the pack in terms of pricing. When you account for its added extras, the price tag starts to make more sense. When we first got our hands on it, we were surprised at how mean it looked. While the majority of ebikes tend to scream “nerd-alert,” the ToughRoad GX E+ separates itself immediately with an aesthetic and quality we’ve rarely seen in the industry. It’s pure electric muscle and we couldn’t get enough. The Goldilocks-like level of assistance had us forgetting we were riding an e-bike at all. When it comes to power, the ToughRoad GX E+ utilizes a Giant SyncDrive Sport motor that’s produced by Yamaha. Throwing out an impressive 80Nm of pedal assisted power, the SyncDrive Sport is enough motor to have you cruising easily with minimal input. 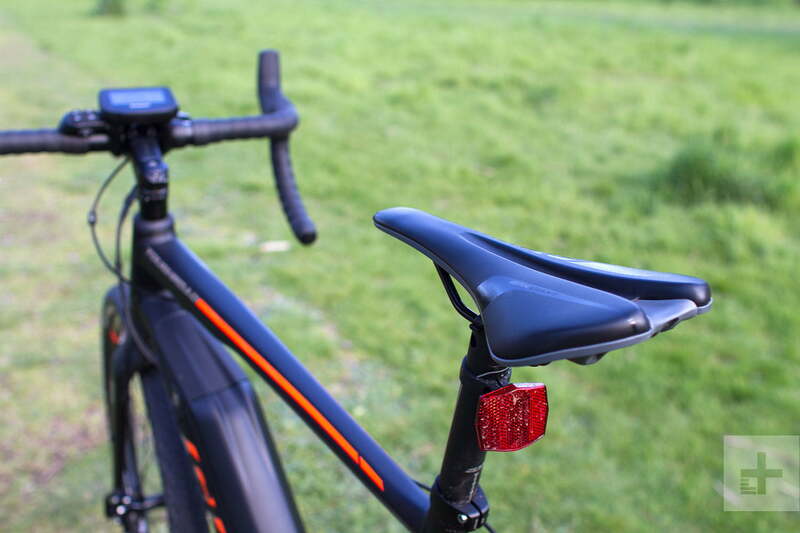 Keeping all that power in check is PedalPlus4 Sensor technology, which measures the rider’s input to the pedals and adjusts power based on the mode selected. We were blown away by how seamless this all felt. The Goldilocks-like level of assistance had us forgetting we were riding an e-bike at all. What you won’t be doing on the ToughRoad GX E+ is putting your feet up to let the bike do all the work. With four modes — Power, Normal, Eco, and Off — this e-bike is pedal-assist only. Though we dabbled in each mode for the sake of testing, most of our time was spent riding in either Eco or Power mode. 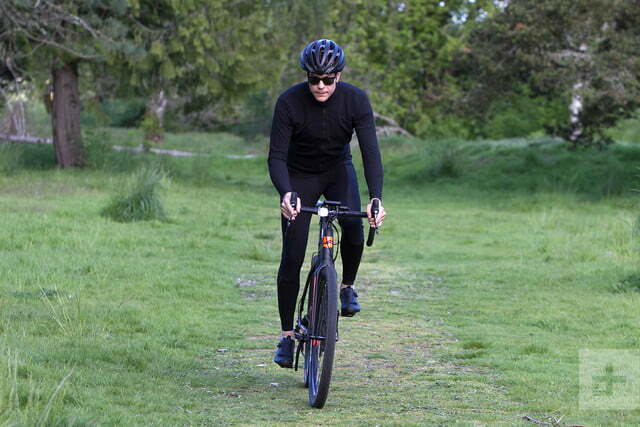 Eco gave a similar feel to riding a non-electric road bike, due to the weight of the ToughRoad GX E+ (which we measured at about 45 pounds for our Large-framed bike). 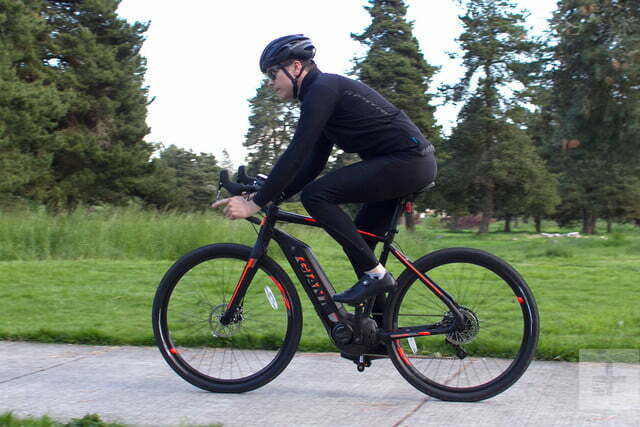 The extra weight added by the electric motor and battery is certainly an equalizer, but Eco mode had us pedaling along similarly to other non-electric riding partners. 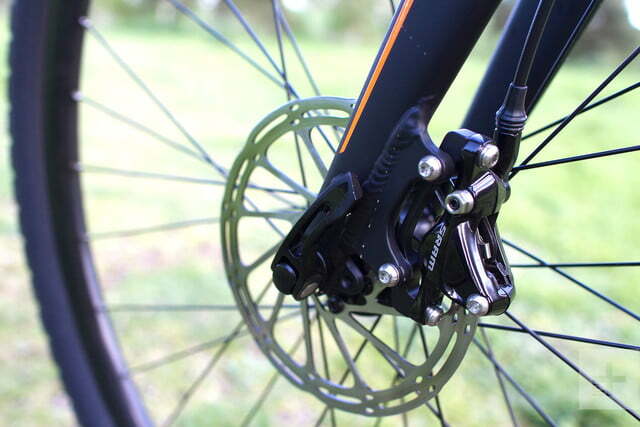 Power mode, on the other hand, gives a very distinct advantage on the flats and is even more noticeable on hills. While electric assistance waned once we were over 20 miles per hour, it was hard to break a sweat in Power mode. Normal has a noticeable uptick in power over Eco but, oddly enough, was the mode we used the least. This was due in large part because we had a hard time hitting our fitness goals in Normal and, conversely, it didn’t offer enough pedal-assistance for easy riding. For some help when we were off the bike, we could engage a walking mode that gently nudged the two-wheeler along while guiding it on foot. 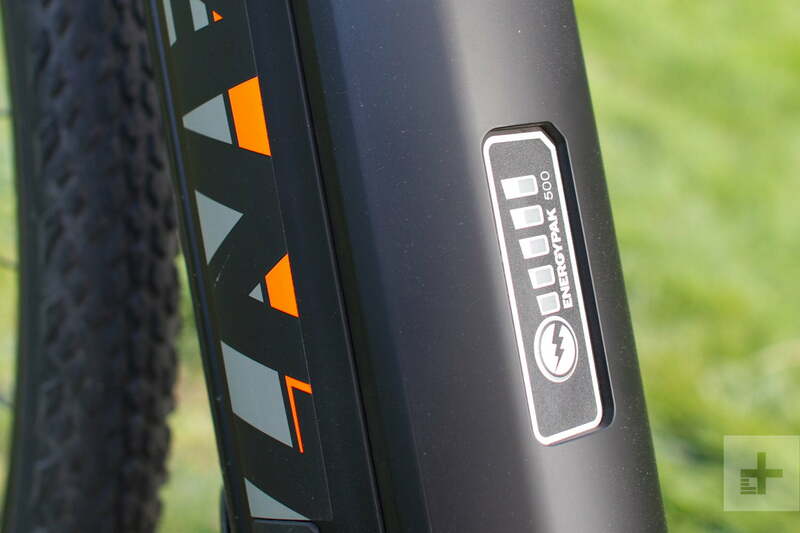 Powering this beast of a bike is the Giant EnergyPak 500, a 36-volt, 11.3 amp, lithium-ion battery. A full charge output is estimated at 93 miles of travel range in Eco mode, while you’ll get 75 miles in Normal, and 56 in Power. In our testing, these numbers were extremely close to reality. We even found that recharging the battery pack beat the estimated three hours and 40 minutes to 80 percent and seven hours and 20 minutes to 100 percent, albeit not drastically. 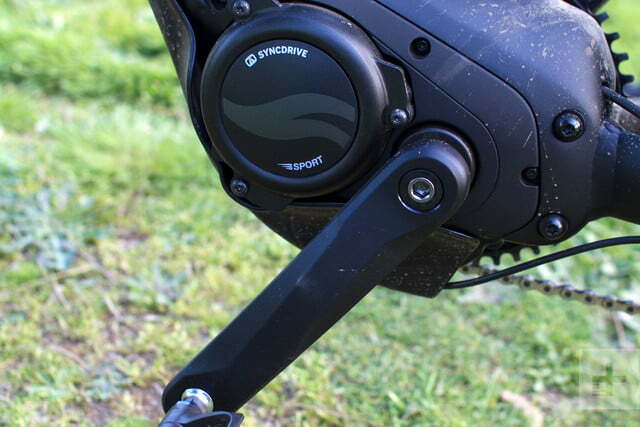 Keeping track of the bike’s range is made easy by the beautifully finished Ride Control EVO screen. 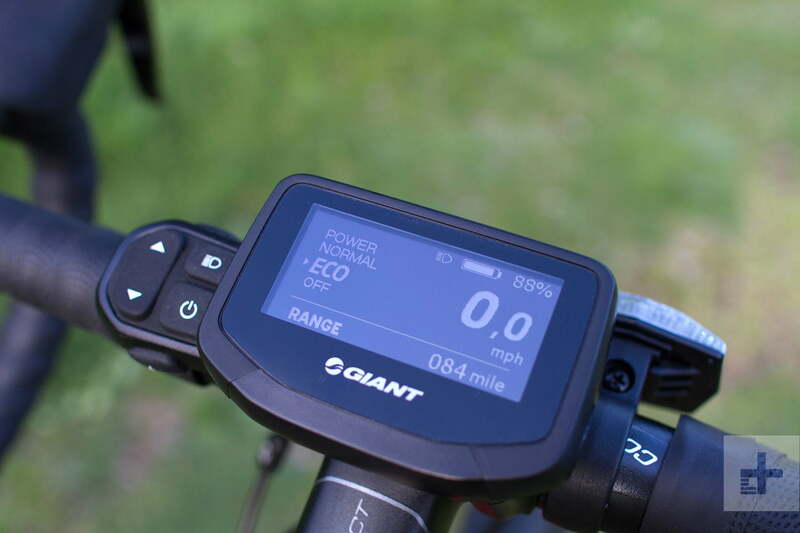 With the Ride Control EVO’s crystal clear display, keeping an eye on our cadence, speed, battery charge, trip time, trip distance, average speed, top speed, and odometer (in miles or kilometers) was made simple, easy, and intuitive. We never once felt as if we didn’t have the exact information we needed at a moment’s notice. What you won’t be doing on the ToughRoad GX E+ is putting your feet up to let the bike do all the work. Also packed into the unit is a micro USB outlet for on-the-go charging or auxiliary accessories. If that wasn’t enough, the RideControl Evo self-diagnoses to let you know if there are issues with the battery or motor by way of a service indicator. 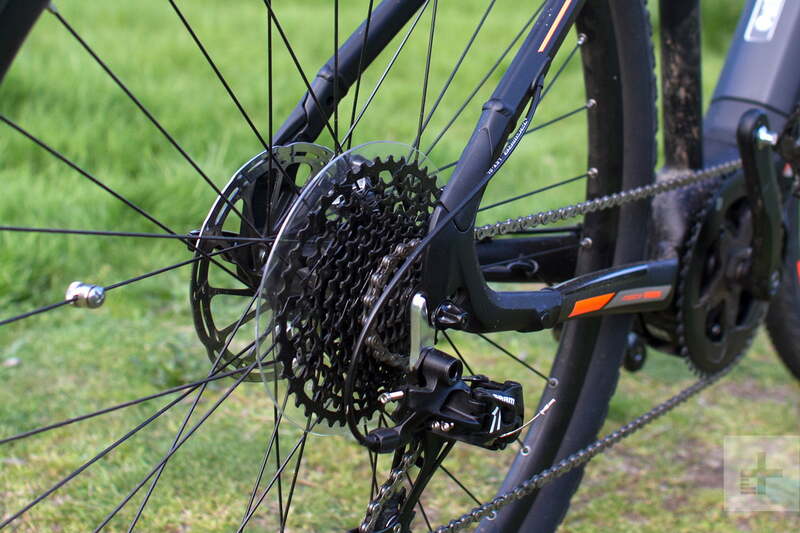 Matching the caliber of the rest of the bike, the standard components are anything but, with SRAM brand controls, derailleur, and hydraulic disc brakes. The frame is Giant’s Aluxx SL grade aluminum that comes in four sizes (Small, Medium, Large, and Extra Large) to keep fit in check. After our first fifty miles of paved, gravel, and packed dirt trails, it was apparent Giant didn’t opt for cheap parts and pieces, either. Instead, it decked out the ToughRoad GX E+ in high-quality components that give it an A for build quality right off the shelf. Giant backs its bikes with a two-year parts and workmanship warranty covering all original components including the frame, fork, battery, motor, and display. The ToughRoad GX E+ walks a very interesting line. On one hand, it’s for exercise, so it makes no sense to have a motor. Conversely, having a bit of help to keep you from overdoing it is unbelievably welcome. The average Joe or Jill looking to get into cycling for exercise and the pure enjoyment of getting outside will find the ToughRoad GX E+ not only capable but helpful, as well. 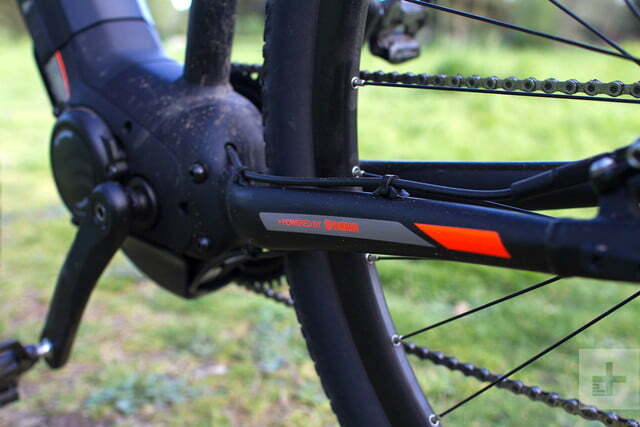 The closest competitor from a major manufacturer is Trek’s CrossRip+. 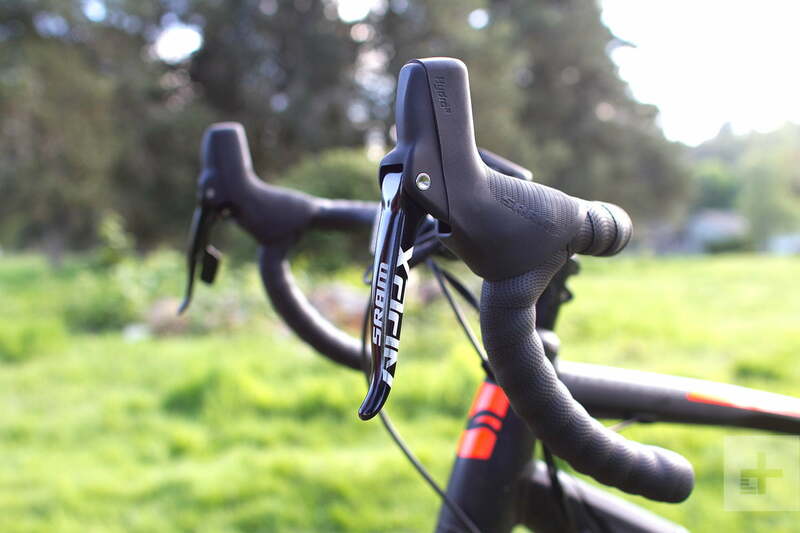 The CrossRip+ is similar to the ToughRoad GX E+ in a lot of ways (drop bars, slightly relaxed road frame, pedal assist, high capacity battery), but where it differs is with the extras. Featuring an integrated rear rack, kickstand, headlight and fenders, the CrossRip+ has much more included straight out of the box. Couple these extras with its road-going tires and the CrossRip+ is a commuter’s dream. Dreams aren’t cheap though and with a $1,074 premium over the ToughRoad GX E+’s already impressive $3,625 price tag, it’s easy to see that you pay royally for those extras. On the beefier end of the spectrum is Evelo’s Delta, an all-electric trail and mountain bike that sells for $3,500. Featuring a massive motor, fat tires, and front suspension, we found the Delta to adequately rip up singletrack trails while also proving to be a competent commuter bike. However, bugs and glitches with its software held the bike back. A bike without any suspension, that’s meant for trails, with loads of parts bolted on, seems like a problem waiting to happen. So of course, we did everything we could to thrash this bike through mud and gravel to try and shake something loose. Over the course of 30 very painful dirt miles and 150 road miles, the ToughRoad GX E+ was no worse for wear. That’s not to say the kind of regular bike maintenance you’d typically expect won’t be needed, but the ToughRoad lives up to its name. Yes. On paper, the ToughRoad GX E+ saves you a fair amount of money over competing bikes like Specialized’s $4,600 Turbo Vado. 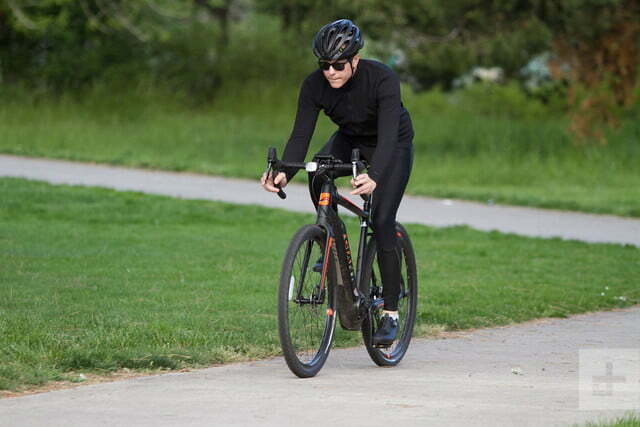 Add the fact that it gives you loads of options concerning the type of terrain you wish to ride, and that it helps ease you into those 100-mile days, and you have an ebike which offers a lot. If you’re looking to get into cycling — and still yearn for pedal-assisted fitness — the ToughRoad GX E+ is your answer.